A smooth, full-bodied Cabernet Sauvignon with cassis and black cherry flavours, complemented by hints of coffee and dark chocolate. "More than 100 years ago, Don Melchor de Concha y Toro reserved for himself an exclusive batch of his best wines. To keep strangers away from his private reserve, he spread the rumor that the Devil lived in that place. 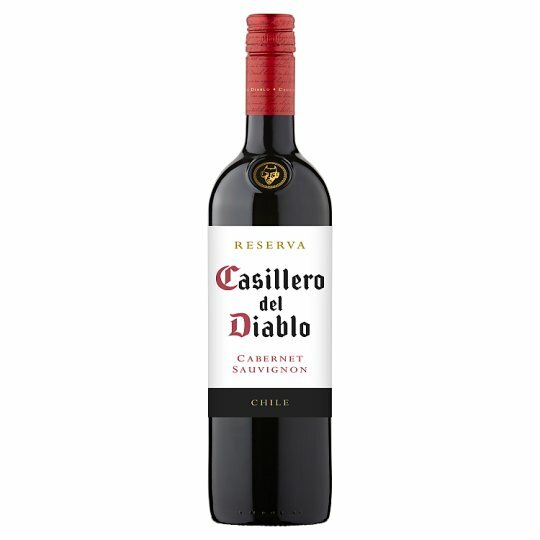 Hence the name: Casillero Del Diablo, The Devil's Cellar". A smooth, full-bodied Cabernet Sauvignon with cassis and black cherry flavours, complemented by hints of coffee and dark chocolate. Food Pairing: A great choice to match with red meats, herby dishes or mature cheeses. Great choice to match with red meats, herby dishes or mature cheeses. Each Casillero del Diablo wine is the result of carefully selected grapes grown in some of Chile's most award-winning winemaking regions, from the Limari Valley in the North to the Maule Valley in the South. The unique characteristics of each of our vineyards are reflected within the flavours and aromas of each bottle. This range of wines brings to you the best that Chile has to offer. The story behind one of Chile's most famous wines began more than 120 years ago. Don Melchor, founder of Concha y Toro, stored batches of his best wines in an underground cellar. When he noticed that bottles had been stolen, he spread a rumour amongst the locals that a devil lived in his cellar. Hence the name of Casillero del Diablo, the devil's cellar. Since 2008, Diablo wines have received more than 80 awards from internationally recognised competitions, including 8 Gold medals and 18 Silver medals.